Stan Hopewell: Facing the Stars is the powerful and life-affirming story of a man compelled to paint not by his passion for art, but by an inherent creative spirit that revealed an extraordinary capacity to give potent visual form to all manner of events and emotions. Art became his means of expressing his love for Joyce, conveying his belief in the power of God, dealing with hardship, and celebrating the life that he and Joyce had shared. This is the powerful and life-affirming story of a man compelled to paint not by his passion for art, but by an inherent creative spirit that revealed an extraordinary capacity to give potent visual form to all manner of events and emotions. This book moves from the story of one man to the creative journeys of self-taught artists and their ineffable drive to create: that brief moment of creative focus and energy that turns ordinary people into artists. Recently there has been great interest in ‘outsider’/self-taught artists: the 2013 Vienna Biennale’s International Art Exhibition focuses on amateur and outsider art; and The Australian ran a feature on the topic in July 2013. The exhibition Stan Hopewell: God is Love, runs from 12 October to 14 December 2013. Winthrop Professor Ted Snell AM, Cit WA is Director of the Cultural Precinct at the University of Western Australia and Director of UWA Museums. He is the Perth art reviewer for The Australian, a regular contributor to local and national art journals, and has been a commentator on the arts for ABC radio and television. 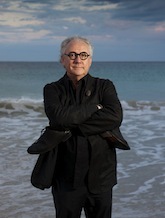 He has curated numerous exhibitions, most of which document the visual culture of Western Australia. Over the past two decades he has been Chair of the Visual Arts Board of the Australia Council, Chair of the Australian Council of University Art and Design Schools, Chair of Artbank, Chair of the Asialink Visual Arts Advisory Committee and a Board member of the National Association for the Visual Arts. 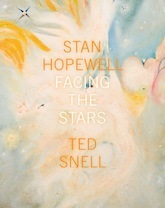 Stan Hopewell: Facing the Stars is his fourth monograph, having previously published books on Pippin Drysdale, Howard Taylor and Salvatore Zofrea. Frances Andrijich is one of Australia’s finest photographers. Her extraordinary images - whether captured in the townships of South Africa, the Croatian countryside, or Indonesian slums - have earned her a growing international reputation. But at heart Frances is a Western Australian, and arguably her most captivating work are studies of the personalities and places closest to home. Shooting intuitively and incisively, Frances’ photographs can be lush and painterly, or witty and surprising; they are always technically superb. Her work has graced magazines, books and campaigns in Australia and around the world, including Gourmet Traveller, Decanter Magazine (US and UK), Australian Geographic, the Weekend Australian Magazine and Good Weekend. Corporate clients include West Australian Opera, Lotterywest, Association for the Blind WA, Channel 9, LandCorp, UWA Business School & Tourism WA. Winery clients include Cullen, Leeuwin, Moss Wood, Flametree, Cherubino & Howard Park. An active member of ACMP, Frances is a regular contributor to Getty images, and the recipient of numerous awards. She also exhibits regularly, most recently in the group show ‘Beyond Likeness: Contemporary Portraits, at the Lawrence Wilson Art Gallery UWA, 2012. Frances has had 8 books published, and in 2013 will see the release of 3 more. Stan Hopewell: Facing the Stars is available for purchase from 12 October 2013 at the Lawrence Wilson Art Gallery or via the Gallery online shop for $34.99 Contact the Gallery (6488 3707) for more details. Read an extract of the book online.